the summer, this too burned to the ground. Once again, classes continued, being moved to the same cabin. 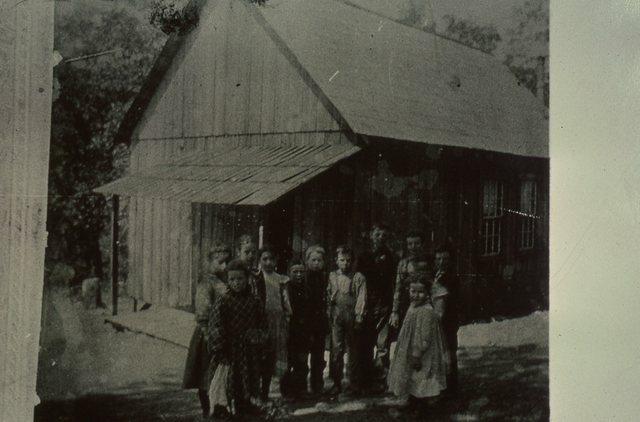 A third school building was built and lasted a good many years before also burning prior to 1933. Fortunately, “Mr. 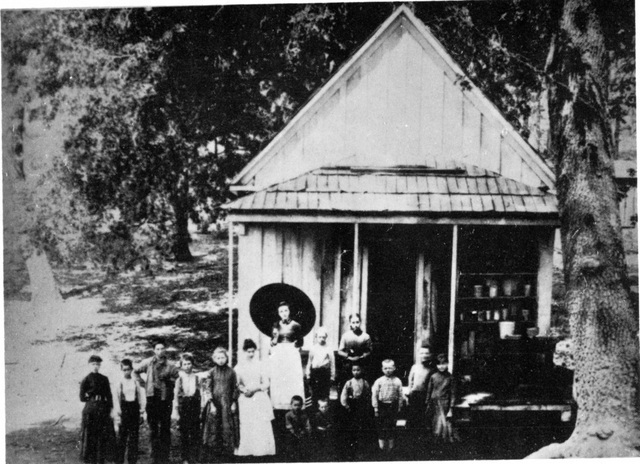 Harry Shuffelton and some others had just secured the bonds for the building of the present school house”, which is now the Community Center. In 1964 Chico Unified School District (CUSD) took over the running of Forest Ranch Elementary School (FRES). 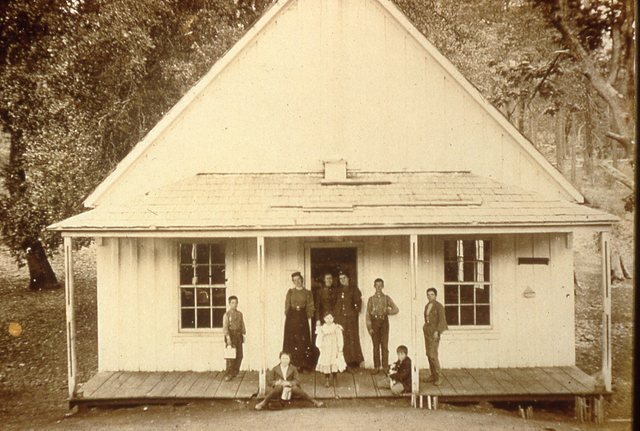 Because of the town’s growing population and school census, a new school was built in 1991-92 to replace the historic one-room schoolhouse. Construction cost $5.1 million, funded by a mixture of state funds, local facility bond dollars, and developers’ fees. The school hit its highest enrollment in 1993 with 140 students. Unfortunately, due to multiple causes including lowered parent confidence in the education provided by CUSD, the school census dropped to 43 students by the 2007-08 school year. Faced with an unprecedented budget crisis, in April 2008 CUSD voted to close FRES. With FRES closing, a small group of volunteer parents and community members banded together to establish a Charter School in Forest Ranch. The founders understood that for FRCS to be fiscally solvent we would need to increase enrollment (as with all public schools, the majority of our funding comes from State sources and is based on enrollment) and rely on a large amount of community and family volunteer support. Our school would need to offer more to students and families than had CUSD. To address these concerns, we developed a school committed to educating children based on research driven “best practices” and an emphasis on the development of the whole child. We also decided to draw on our majestic surroundings and incorporate an environmental studies school emphasis. In response to the needs of our working families, we developed an after school program. We also provide busing from Chico for families looking for a small school or an alternative from CUSD. enrolling at least 50 students, raising substantial cash reserves, securing a $100,000 line of credit, and negotiating the school facility lease. To the amazement of CUSD and most onlookers, our charter was approved June 30, 2008, in record time. essentially from scratch. Responsibilities included: finalizing curriculum, ordering books, hiring and contracting with staff, securing furniture, cleaning the school, grant applications, writing our policies and procedures, developing an after school program, implementing busing from Chico, continuing fundraising, and complying with state and federal regulations. 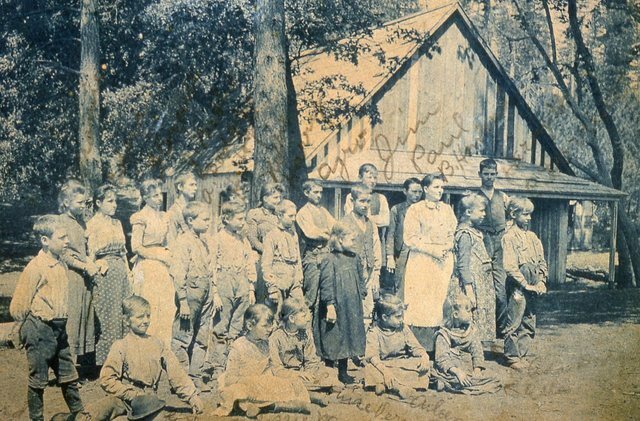 In the Fall of 2008, marking the 130th year of a school in Forest Ranch, we opened our doors with 52 students. Today we have approximately 110 students, are among the top performing schools in the district, and we are thriving! Special thanks to Marty Leicester for the old photos and The Forest Ranch Post/Chips Ross for some of the background information for this article.